I am a woman who loves diamonds, but unfortunatly I can't afford too many of them, and I also seem to loose them. I was recently found a company that offers gorgeous designer jewellery, but at a fraction of the price. Fantasy Jewelry Box offers stylish bracelets, necklaces, earrings, rings, men's jewelry, and much more! You can shop by price range, by collection, color, and sale items. I love it when companies think about consumer, and make our online shopping a breeze... and that is exactly what Fantasy Jewelry Box does! The item that I was lucky to receive, was the Designer Inspired Journey of Life CZ Necklace. 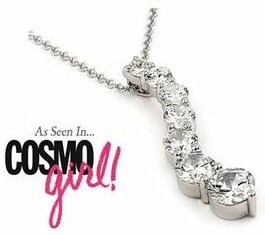 Featured in Cosmo Girl, their designer inspired journey of life cz necklace has elegant style all over it. Approximately 4 carats of clear round shaped cz stones connect to represent the journey life takes us on. Available with a 16 or 18 inch sterling silver chain, this cz necklace makes a great gift for you or that special someone. Fantasy Jewelry Box is the perfect place to shop all year long. Remember Fantasy Jewelry Box the next time you are shopping for a gift... Christmas is right around the corner and Fantasy Jewelry Box is the perfect place to shop this holiday season! They have prices that will meet every one's budget! 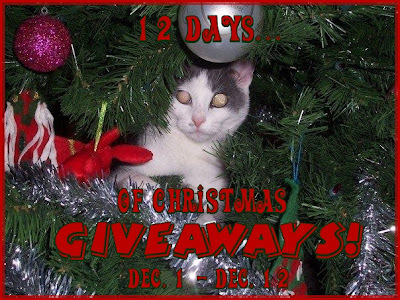 Fantasy Jewelry Box has sponsored my '12 Days of Christmas Giveaways'! One lucky person will get the opportunity to win a $30 Gift Certificate! "Win a $30 Fantasy Jewelry Box Gift Certificate! @kimmie_1980 http://tinyurl.com/2fg6wkw (12/19) #giveaway"
Fantasy Jewelry Box, is sponsoring my '12 Days of Christmas Giveaways' event, and offering a product to one of my readers. I did not receive any compensation or incentive nor was I required to write a positive review. Individual results or experiences may vary. I would love to get a pair of earrings for my daughter. I visited the website and I like it because the jewelry looks very classy and expensive. You got my vote on Ola Momma! I'm following Fantasy Jewelry Box on Facebook. I like the Meaghan's Cascade necklace. I like Fantasy Jewelry Box on Facebook as Erin A.-L.
Sondra's 14k Gold Oval Cut Tanzanite Cubic Zirconia Ring is my favorite!